Rainbow Painting with Wine Corks! 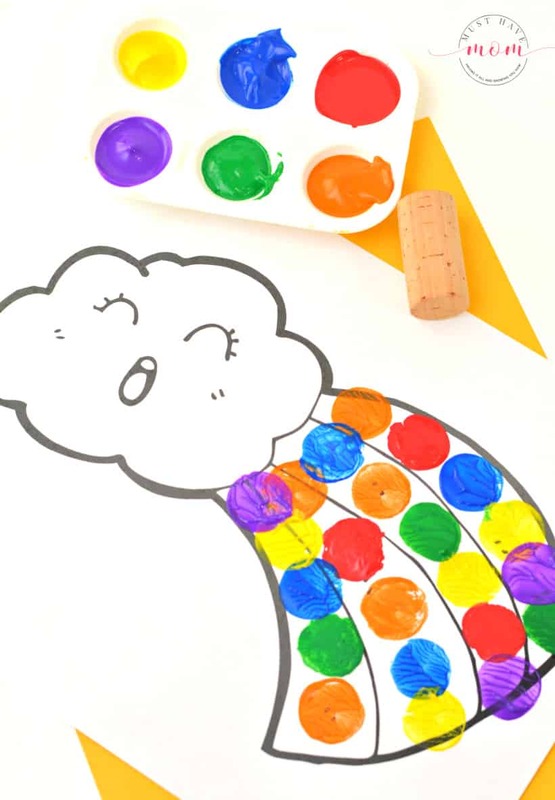 This adorable rainbow painting wine cork crafts project helps keep little hands busy and reinforces learning their colors. Just gather up some wine corks and the free printable rainbow coloring sheet and you have a fun activity! 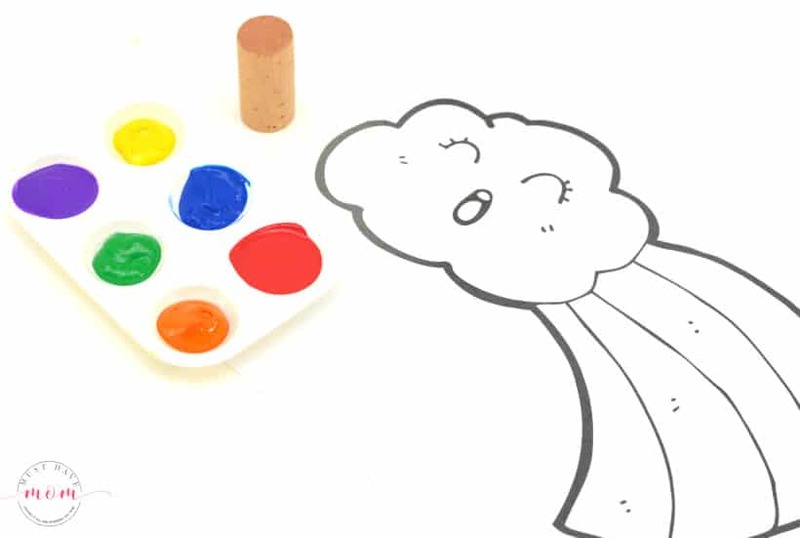 We love rainbows here and this rainbow painting activity is no exception! From rainbow jello sensory bin activities to rainbow letter craft to rainbow fish celery painting, we’ve got everything rainbow here! We all have a few wine corks sitting around just looking for a use. This wine cork crafts project is easy and fun that it’s something you can easily say yes to on a rainy or snowy day. 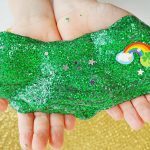 This rainbow painting activity will perk up any day when you are stuck indoors and even makes a great activity for St. Patrick’s Day! Have your child dip a wine cork into their choice of colors and press it down into the lines on the rainbow coloring sheet. They can alternate colors, or make each line of the rainbow a single color if they like. You can wash the wine cork in between each paint color, or you can have a few wine corks on hand so that no washing in between is required. 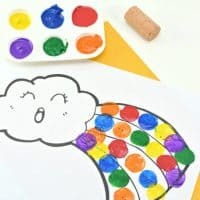 Doing this colorful rainbow painting craft is the perfect time to help your child learn their colors. Have them repeat the name of each color as they make a new circle on their rainbow worksheet. 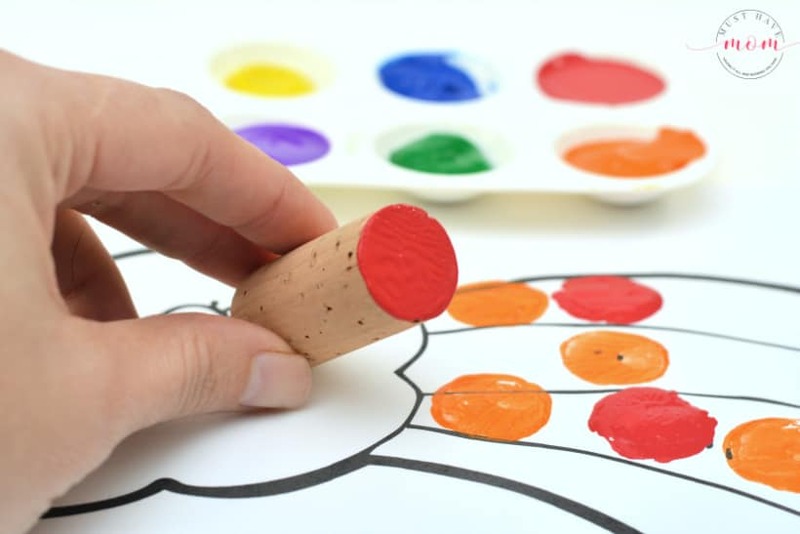 Each time your child dips the wine cork into the paint, they can dab it on a piece of paper towel before pressing it onto their coloring sheet to get off some excess paint. This is not a required step, but a helpful tip so their rainbow sheet will dry more quickly. Now you have a fun activity and an adorable keepsake. Plus you found a use for those wine corks. 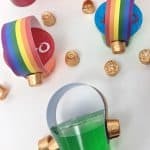 This rainbow painting DIY wine cork craft is perfect for rainy day play or St. Patrick's Day fun! You can wash the wine cork in between each color, or you can have a few wine corks on hand so that no washing in between is required. Each time your child dips the wine cork into the paint, they can dab it on a piece of paper towel before pressing it onto their coloring sheet to get off some excess paint. This is not a required step, but a helpful tip so that their rainbow sheet will dry more quickly. 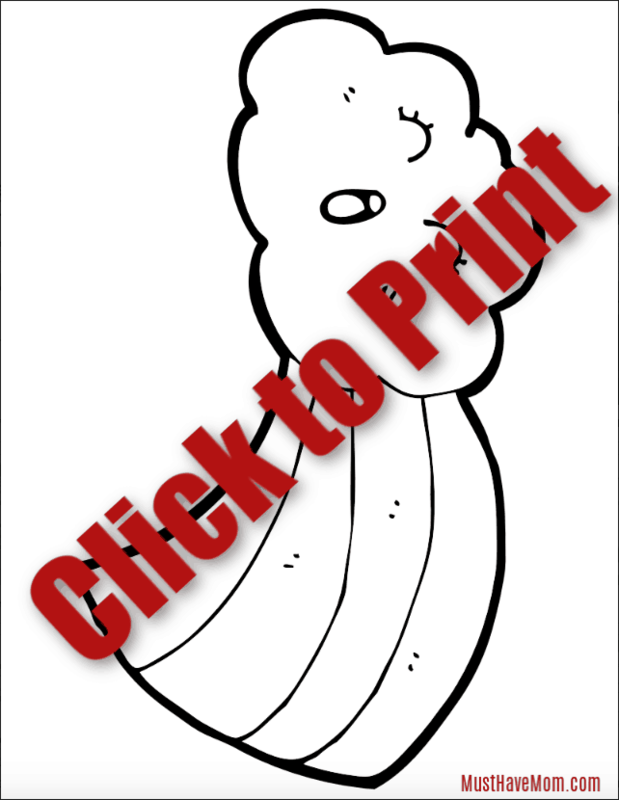 Grab the free printable rainbow coloring page for this painting activity by entering your email address below. I’ll send you the link to my kids printables library where you will get free access to all of my kids printables (new and old), no string attached! Enjoy! 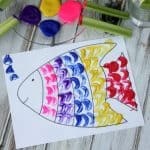 Rainbow Fish Celery Painting Activity + Free Printable Rainbow Fish! 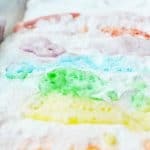 Over The Rainbow Jello Treats! Sucha cute and clever idea! Thank you for sharing on Merry Monday! We hope you will join us again next week! This is such a great idea! Hours of fun, I’m sure!